The screen idea is a conceit, of sorts, in that it remains immaterial (like all ideas) until the point at which it is shared – with financiers, producers, actors and crew collaborators – typically in the form of a screenplay document. The screen idea is a useful tool since it is a conduit between the screenplay documents at hand, creative screenwriting practices (industrial or niche) and individual (or team-based) beliefs around the screenplay. Here, the individual in question is Jean-Luc Godard and the focus of this article is towards the screenwriting forms and practices associated with his late digital feature Film Socialisme (2010). Across his expansive career Godard has displayed a critical, near antagonistic, disposition towards the screenplay as the privileged origin of a screenwork. He has conducted a probing, and inventive, critique of mainstream screenwriting practices whilst simultaneously participating in an industrial, albeit boutique, model of feature filmmaking. A screen idea needs to be examined in a specific context and for Godard this is a peculiar one, since he sits at the threshold of industrial film production and experimental or avant-garde moving image practices. Whilst Godard says “I don’t even stand at the margin any more … ” he retains certain privileges that come with European film finance, screen producers, production companies and international distributors. At the same time, he has pushed the boundaries of what a screenplay is, or could be, with an arc of multimodality in the evolution of his personal screenplay poetics, fuelled by combinations of text, image, video and sound. This article looks at the extent to which the late digital works represent a continuity, or departure, of Godard’s screenplay poetics. It unfolds in two parts. In Part One, I provide the production context for, and introduce, the various threads of the screen idea(s) for Film Socialisme. This is primarily to support the work in Part Two, which examines Godard’s long-standing preference for the film Treatment – as a more poetic, malleable and open screenplay document than a feature length screenplay. This concludes with an in-depth analysis of Godard’s scénario for Film Socialisme, a graphic film Treatment, in order to reveal the personal screenplay poetics at work and delve into ‘what lies behind what is on the screen’. An earlier short film by Godard called De l’origine du XXIe siècle (The Origin of the 21st Century, 2000) was commissioned by the Cannes festival to mark the second century of cinema. Nicole Brenez cites this as a ‘first draft’ of Film Socialisme. Godard expresses his screen idea for the short: “to cloak the memory of all the terrible explosions and crimes perpetrated by men with the faces of children and the tears and smiles of women”. It is divided by the intertitles: 1990, 1975, 1960, 1945,1930, 1915 and the film replays 20th century conflicts (in reverse) from the Yugoslav Wars to the Great War. It is assembled from found-footage (including material from Godard’s own archive) and works within a well-established mode of poetic historiography akin to Histoire(s) du cinéma (1998). The association between the screen idea for De l’origine du XXIe siècle and Film Socialisme is most evident in the final movement of the triptych titled “Nos Humanitiés” (Our Humanities) – which mirrors the duration and screen poetics of its early iteration. For Brody, the case of the Moscow Gold “lends the entire film its thematic and social value, and is the source of the movie’s elaborate backstory”. It finds form in the mise-en-scène of the film with the gold coin necklace that adorns the neck of Alissa (Agatha Couture) travelling with her grandfather Otto Goldberg (Jean-Marc Stehlé) – a man of multiple identities, with a dubious past. The first words of Film Socialisme are heard in off-screen dialogue: “Money is a public good” … “Like water then” …“Exactly”. These voices are across a high-angle shot of the Mediterranean Sea from the decks of the cruise liner. The sea is midnight blue and is, at once, painterly and menacing. Inside the floating metropolis the emblem of gold returns in the wares of the on-board casino and again with the second movement of the film as ‘black gold’ which is the currency of the Martin family garage. The final image in Film Socialisme shows transfer of the gold coins into the hands of others. This is bad news for Alissa, set to sounds of off-screen violence. Here, Godard seems to pay debt to the narrative trope of L’Argent (Robert Bresson, 1983) and the exchange of the gold coins across time and space speaks to the link between money and civilisation. Kathryn Millard is a filmmaker and theorist who suggests that a “search for coherence” underpins considered screenwriting practices, particularly in the digital age. She adapts this idea from theatre, via Patrice Pavis, in order to emphasise a complex creative process which involves “generating structures and considering the relationships of the parts of the text to the whole.”  Godard’s ‘search’ is most literal towards the end of the film where he seeks an image for the state of Palestine. Here, he switches from a production-generated cinematic mise en scène to a post-production mode of filmic writing with found images. This works within an expanded definition of screenwriting as ‘screen writing’ – which privileges writing for, with and on the screen. Antoine de Baecque describes this process well, saying: “the cinematographic form of history in Godard’s films, indeed, requires a mixing of images in the century – of images with the century and of images with each other”. For example, Godard repurposes Agnès Varda’s trapeze artists from Les Plages d’Agnès (The Beaches of Agnes, 2008) as an image of hope for the Middle East. When asked why he chose not to construct an original image, Godard said: “the socialism of the film is the undermining of the idea of property, beginning with that of the artworks”. And at the close the film he gives a commitment to ‘the commons’ via superimposition of an anti-copyright slogan across the generic FBI warning found on commercial DVDs. These ideas of remix and ‘piracy’ gain impetus with the precession of digital culture. Since the 1970s, and often in creative partnership with Anne-Marie Miéville, Godard has explored the potential for multimodal screenplays which use text, image, video and sound to represent the screen idea. Brenez’s Documents shows this transition, from a primarily word-based poetics toward one defined by image-text juxtapositions and typographically adventurous screenplay forms. Seen today, the 1970s screenplays offer a handmade and artisanal charm. Michael Witt points to Godard’s uptake of ‘new’ photocopier technology as the basis for his “photocopier-based glue-and-scissors art” – an aesthetic retained in the Film Socialisme Treatment some forty years later. Godard’s dominant visual language remains one of collage and is closer to fine art than filmic traditions. Think Richard Hamilton, Andy Warhol or Robert Rauschenberg. The anti-commercial screenplay poetics of the 1970s were also in sync with the radical aesthetic programs of the time, such as arte povera. In the 1980s, Godard turned to the video scénario in order to bring his screen ideas in closer proximity to the screenwork itself. For Passion (1982), the ‘screenplay’ consisted of a collage-based print document, an audiocassette and a video screenplay in 30 and 52 minute versions. Godard’s Treatment for Film Socialisme is a thirty-three page colour document – a PDF facsimile of a paper-based original. It is double numbered in the top right, in black and red ink, which marks it as iteration of a prior document. Godard did a series of Mediapart interviews on Film Socialisme from his base in Rolle, and at one point he turns to retrieve a page from his filing cabinet which reveals a single-sheet screenplay archive, one open to recombination of pages and alternate versions. The online Treatment is a hybrid document that has dual purpose: it is an archive of the screen idea (shared during development and funding) but also a ‘doctored’ version for a new online audience. In short, it is a cut and paste job – Godard has added new images from the produced film, directly over images used as part of a prior screenwriting process which uses both words and images. In the analysis below, I draw out the screen idea to show Godard’s personal screenplay poetics at work. He doesn’t follow any ‘rules’ of screenwriting but rather uses the film Treatment as a composite form. It contains: scene description, narrative sequence-blocks, character profiles, historical backstory, intertitles, images, maps, dialogue and voiceover excerpts. I focus on specific pages of the screenplay which show this diversity, and admixture, of screenplay poetics. The page references are cited in relation to the double black/red numbering system. 1: The title page is a collage which shows: a cut-up image of a supersized cruise liner; the obliquely pasted headshots of the Martin family children; a Sony HDV camera and the female African camera operator for FR3 TV. Godard’s crude method of collage renders the layers of typographic space visible, in continuity with a ‘glue-and-scissors’ based poetics. The word ‘socialisme’ appears in lower case in the tri-colours of France. This document dates to around 2008 (Page 30/12) but includes images grafted from the produced screenwork, up to 2010. 2/2: Twin images of the FBI copyright warning. The base image looks like a screen capture from a monitor (perhaps during post-production). It includes an intertitle superimposed over the FBI logo: “QUAND LA LOI N’EST PAS JUSTE LA JUSTICE PASSE AVANT LA LOI” (‘When the law is not just, justice takes precedence over the law’). 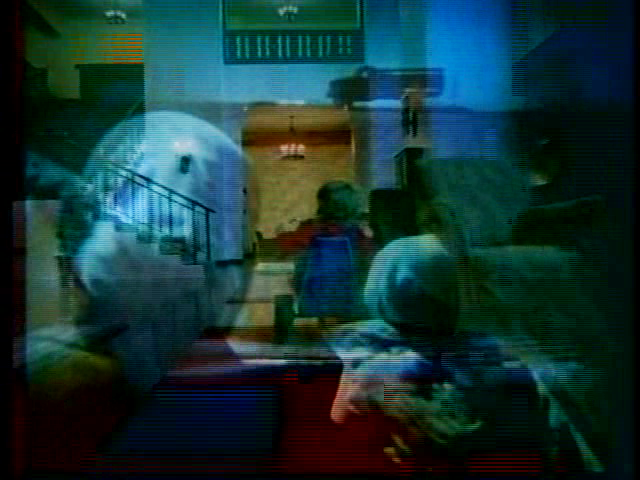 In the screenwork, this image returns at the close of the film – but shows alternate spacing and placement of the text. 5/5: Godard writes the first movement of the film in cursive, underlined, in a black marker. It reads: “(1) choses comme ça” (‘things like that’) which returns as a recurring intertitle in the screenwork. On pages 6/6 and 7/7 a series of blurred images are difficult to decipher. The formula “X+3=1” is etched over one. These pages include excerpts of voiceover narration for the characters “p.fille” and “grand-père”: (Alissa and her grandfather Otto Goldberg) who are central to the screen idea of the Moscow Gold. 26/8: The title of the next movement is given as “les animaux” (‘the animals’) in reference to an unproduced 1980s project. In the screenwork, this middle section takes the title: “Quo Vadis Europa” (Where are you going Europe?). In the Treatment the Martin family narrative is conveyed in seven pages. Godard provides the setup: a provincial locale, the daughter ‘Esther’ (who reads from Balzac) and her younger brother ‘Deny’. Exotic pets: a llama and donkey. In the film, the siblings become: ‘Florine’ (Marine Battaggia) and ‘Lucien’ (Gulliver Hecq) – taking their names from Illusions perdues (Lost Illusions, Honoré de Balzac, 1837). Godard introduces the FR3 TV crew: journalist (Élisabeth Vitali) and camera operator (Eye Haidara). On page 29/11: Godard reproduces all these elements in a graphic collage of the locale, the parents, the kids, the pets and the TV crew – these are the actors from the screenwork. 30/12: A graphic timeline shows the Martin family narrative in work ‘Sequences’ which oscillate between lettered (A-D for exteriors) and numbered (1-3 for interiors) sequences. This confirms Godard’s preference for sequences over individual scenes. Once again, images from the screenwork have been pasted in as thumbnails across the timeline. Adjacent to the interior sequences Godard lists the themes: fraternité, liberté and égalité. Sequences A, B, C and C1 show images of the TV crew and the Martin family. Sequence D gives a headshot of Godard for a proposed sequence set in a local café where ‘JLG’ interacts with the journalists in the film. This sequence was not produced, or at least does not appear in the screenwork. In a note at the foot of the page, Godard indicates that dialogue is likely to evolve ‘part by part’ in May 2008. On page 30/12A: the eight sequences from the graphic timeline are listed as screenplay text with basic scene description. Whilst the sequence approach recalls the 1960s screenplays – there is far less detail proscribed here with respect to scene description and dialogue. In the late screenplay poetics images and graphics do much of the work. 8/13: “nos Humantiés*” is the title for the next movement. An image of the fictional ‘Golden Arrow’ cruise liner (from the title page) is roughly pasted on to a double blue background, where the horizon meets the sky. The name of the ship alludes to the missing Moscow Gold. The title includes an asterisk with a note below that reads: “cette partie peut venir en deuxieme ou troisieme” – Godard has not decided yet whether this part of the film will come second or third in his triptych. In the Treatment this section details the first movement (aboard the cruise liner) but in the screenwork the title is given over to the montage-driven coda. 9/14: A map of the Mediterranean basin is outlined in black marker, with the sea shaded in blue. The itinerary of the Golden Arrow is plotted using circled numbers that move counter clockwise, from east to west. A thumbnail image of the vessel is pasted at each stop. On page right, a legend lists the ports: Algeria, Egypt, Israel, Odessa, Greece, Naples and Barcelona. This ‘screenplay-as-map’ graphic reads as a détournement of the glossy marketing materials used to spruik luxury European cruises. In screenwriting discourse the figure of the map (or roadmap) is often cited as an effective device to organise narrative. Godard makes this didactic. 76/77: A collage of atlas-style maps provide more detail of the Mediterranean locale and a series of hand drawn vector lines crisscross the sea, to represent the historical, mythical and tourism-driven trajectories which structure the film. In Film Socialisme, the idea of ‘geometry as origin’ is relayed by Alain Badiou when he delivers a lecture to an empty theatrette on the cruise. Godard grafts a matrix of faces across the map which show the proposed characters/passengers on The Golden Arrow. They include: Otto Goldberg, his granddaughter Alissa, a Russian agent, a French Agent, a Mossad agent, a photographer and Islamic tourists. A set of character profiles follows, with historically based backstories. On page 15/20: Godard requests the cameos for the projected film: “une chanteuse US (Patti Smith)”, “un philosophe français (Alain Badiou ou Daniel Bensaid) and “jeune pianist japonaise (Ami Kobayashi)”. The fidelity to the screenwork is high, given Smith and Badiou appear in the film – but joined by economist Bernard Maris and intellectual Elias Sanbar (not cited in the Treatment). 16/21: Steyerl’s ‘poor image’ returns with an image of a pair of LOL cats (in the film, Alissa meows along to a You Tube video of cats playing on her laptop). Godard says, “I don’t have the internet” and says that he relies on Miéville for online content. Pages 17/22 to 24/29 give a page for each port, with a taut description of projected screen events – both on and off the ship. At 19/24: at port Odessa, Godard presents a collage of three images of revolution: the Potemkin Steps, a soldier sitting on a fallen statue of Lenin and a monument which bears the red and gold insignia of the Soviet Union (which returns with Lucien Martin’s red and yellow CCCP T-shirt). In the film, at Odessa, Godard cuts between footage from the iconic Battleship Potemkin (Sergei Eisenstein, 1925) stairs sequence and present day, where a tour guide informs the young passengers of the historical significance. At 25/30: another headshot of ‘JLG’. In this iteration of the screen idea – Godard is set to appear in the film to narrate the story of the Moscow Gold: via Tati, via Münzenberg and via Dolivet. In the film the screen idea of the Moscow Gold is rendered in partial, and at times obscure ways, so the inclusion of this scene (as pure exposition!) would have certainly increased its legibility. The final page of Treatment is interesting (it is un-numbered). Godard uses the pagespace to interrogate the ‘high’ prefix of the High Definition digital format. The page is dense and includes a collage of text and pictorial elements: a vertically aligned handwritten title “á propos de ‘haute définition’” (about high definition); a trade newspaper clipping which asks: “Qu’est-ce que la haute definition ou HD?” (What is high definition or HD? ); an image of a 19th century French classical painting with the caption “haute peinture française (? )” (High French painting?) juxtaposed with a cropped image of Argenteuil (Édouard Manet, 1874) with the caption “basse peinture française (? )” (Inferior French painting?). This is all a provocation and a good example of the ways in which Godard hijacks the ‘genre’ of the Treatment for his own philosophical and digressive purpose. For Jean-Luc Godard the film Treatment proves an expansive canvas. It coalesces narrative sequences, work on character and propositions for cinematography, together with images scavenged from cinema, art history, popular media and the Internet. Godard uses it as a creative space to think through, explore and search for his screen idea – a scaffold for complex, yet coherent, shards of information interspersed within the broader narrative movements projected. From early to late career, he has privileged the brevity, and creative license, of the Treatment over the feature screenplay. Words remain important for Godard – they appear as screenwriting description, as dialogue, as voiceover, as intertitles and as polemical digressions. The Film Socialisme Treatment reveals traces from the past, in particular the multimodality of his screenplays from the 1970s onwards. 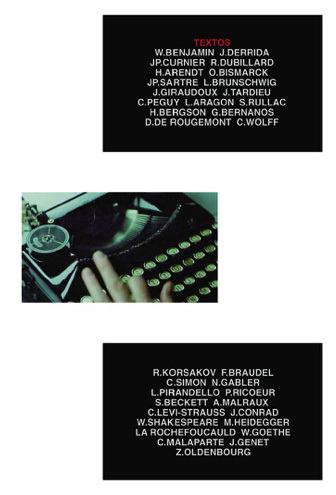 The late poetics, described here, show the dual function of Godard’s screenplays – as both an industry-style document (shared for the necessity of film finance and production) and an artist’s document, where a mosaic-like screenplay anticipates these very qualities in the screenwork to come. Also, Godard’s screen idea attaches itself to forms beyond the screenwork: in film trailers, press kits, poetic screenplay transcriptions and published books. With Film Socialisme Godard explores new communal, or ‘socialist’, production methodologies whilst maintaining his ‘writing’ with found images, in other parts of the film. Both these methods gain currency in the digital age. There is more work to be done in this space – and the late digital works present an opportunity to consider the personal screenplay poetics of Jean-Luc Godard as a paradigm, or even manifesto, of screenwriting refined over half a century. Ian W. Macdonald, Screenwriting Poetics and the Screen Idea (Basingstoke: Palgrave Macmillan, 2013), pp. 6-7. Macdonald, Screenwriting Poetics and the Screen Idea, pp. 5-6. He cites the following precedents: the ‘screen idea’ see Philip Parker, The Art and Science of Screenwriting (Exeter: Intellect Books, 1998); ‘the film idea’ see Stanley J. Solomon, The Film Idea (New York: Harcourt Brace Jovanich, 1972); ‘the cinematic idea’ see Adrian Martin, “Where do Cinematic Ideas come from?”, Journal of Screenwriting, Vol 5. No. 1 (2014), pp. 9-26. Macdonald, Screenwriting Poetics and the Screen Idea, p. 5. Godard: “I have become what I was when I first started being interested in cinema. I am nothing which you throw into the gutter. I don’t even stand at the margin any more”. See Manfred Eicher, “The Lives of the Images”, in Jean-Luc Godard & Anne-Marie Miéville: Four Short Films (Regensburg: Pustet, 2006), pp. 95-98. Adam Cook, “Beauty in the Defects: An Interview with Fabrice Aragno”, MUBI, 23 October 2012, https://mubi.com/notebook/posts/beauty-in-the-defects-an-interview-with-fabrice-aragno. Jean-Luc Godard, Film Socialisme Scénario, http://www.debordements.fr/spip.php?article402. See Craig Keller, “Film Socialisme Press-Book: Interview with JLG by Renaud Deflins”, Cinemasparagus, 12 May 2010, http://cinemasparagus.blogspot.com.au/2010/05/film-socialisme-press-book-interview.html. The note about the fictitious interview, via Nicole Brenez, is at the foot of the page. 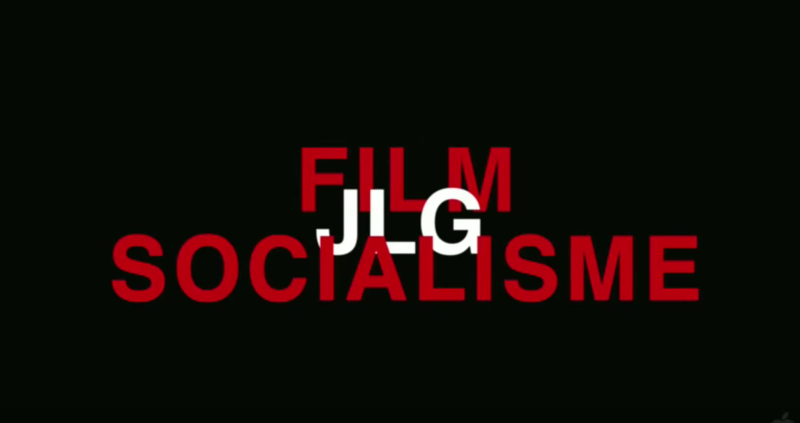 Film Socialisme, London: New Wave Films, 2012, DVD. Stuart Kendall, Jean-Luc Godard Phrases: Six Films (New York; London; Melbourne: Contra Mundum Press, 2016), pp. vi. See: Nicole Brenez et al., Jean-Luc Godard, documents (Paris: Centre Pompidou, 2006). James S. Williams, Encounters with Godard: Ethics, Aesthetics, Politics (Albany: State University of New York Press, 2016) p. 199. Kendall, Jean-Luc Godard Phrases: Six Films, v-vi. See: Steven Maras, Screenwriting: History, Theory and Practice (London; New York: Wallflower Press, 2009), pp. 21-23. Williams, Encounters with Godard: Ethics, Aesthetics, Politics, p. 194. See: O’Rawe, “The Fraternity of Metaphors”, Kinema: Journal of Film and Audiovisual Media, http://www.kinema.uwaterloo.ca/article.php?id=475&feature#ViewNotes_6. He cites: Nicole Brenez, “Liberté, fraternité, prodigalité”, Cahiers du cinéma, Issue 657 (June 2010), pp. 26-27. De l’origine du XXIe siècle is online at https://vimeo.com/19332340. Eicher, “The Lives of the Images”, p. 99. See: “Moscow Gold”, Wikipedia, last modified 24 September 2016, https://en.wikipedia.org/wiki/Moscow_gold. See: Richard Brody, “’Film Socialisme’: The Gold Standard”, The New Yorker, 1 June 2011, http://www.newyorker.com/culture/richard-brody/film-socialisme-the-gold-standard. Brody cites: Jean-Luc Godard, Jean-Luc Godard par Jean-Luc Godard, ed. Alain Bergala, Vol. 2 (Paris: Cahiers du cine?ma 1998). See: Sean McMeekin, The Red Millionaire: A Political Biography of Willi Münzenberg, Moscow’s Secret Propaganda Tsar in the West, 1917-1940, (New Haven & London: Yale University Press, 2003). Brody quotes Godard in: Jean-Luc Godard, Jean-Luc Godard par Jean-Luc Godard, ed. Alain Bergala, Vol. 2 (Paris: Cahiers du cine?ma 1998). Brody, “Film Socialisme: The Gold Standard”, http://www.newyorker.com/culture/richard-brody/film-socialisme-the-gold-standard. David Bordwell, “ADIEU AU LANGAGE: 2 + 2 X 3D”, Observations on Film Art, 7 September 2014, http://www.davidbordwell.net/blog/2014/09/07/adieu-au-langage-2-2-x-3d/. Kathryn Millard, Screenwriting in a Digital Era (Basingstoke: Palgrave Macmillan, 2014), pp. 44-45. Antoine de Baecque, Camera Historica: The Century in Cinema, trans. Ninon Vinsonneau & Jonathon Magidoff (New York: Columbia University Press, 2012), p. 211. Keller, “Film Socialisme Press-Book: Interview with JLG by Renaud Deflins”, http://cinemasparagus.blogspot.com.au/2010/05/film-socialisme-press-book-interview.html. For an Australian context for the various forms of screenwriting documents see: Screen Australia, “What is a Synopsis? An Outline? A Treatment? :, https://www.screenaustralia.gov.au/getmedia/ae5708a4-05d9-4db0-b5fb-4f999fdfed57/What-is-a-synopsis.pdf. Jill Murphy, “To see a script’: Jean-Luc Godard’s re-envisioning of screenwriting in Passion (1982) and Scénario du film Passion (1982)”, Journal of Screenwriting, Vol 3. No. 1, 2012, pp. 19. Murphy, “To see a script’: Jean-Luc Godard’s re-envisioning of screenwriting in Passion (1982) and Scénario du film Passion (1982)”, p. 10. Alain Bergala & Mélanie Gérin & Núria Aidelman, Godard au travail: les anées 60 (Paris: Cahiers du cinema, 2006); Brenez et al., Jean-Luc Godard, documents. For example: the Sonimage screenplays in: Brenez et al., Jean-Luc Godard, documents. Michael Witt, Jean-Luc Godard, Cinema Historian (Bloomington & Indianapolis: Indiana University Press, 2013), pp. 191-198. Phelps, “Film Socialisme Annotated: A guided tour through Jean-Luc Godard’s most allusive film”, http://www.movingimagesource.us/articles/film-socialisme-annotated-20110607. See: Hito Steyerl, “In Defense of the Poor Image”, e-flux, Issue 10 (November 2009), http://www.e-flux.com/journal/10/61362/in-defense-of-the-poor-image/. See also: Andrew Utterson, “Practice Makes Imperfect: Technology and the Creative Imperfections of Jean-Luc Godard’s Three-Dimensional (3D) Cinema”, Quarterly Review of Film and Video, (August 2016), pp. 1–14. Mediapart “JLG 4/10 – entretien avec Godard”, http://www.dailymotion.com/video/xda3dh_jlg-4-10-entretien-avec-godard-medi_news. With thanks to Claire Monneraye at the Australian Centre for Photography.